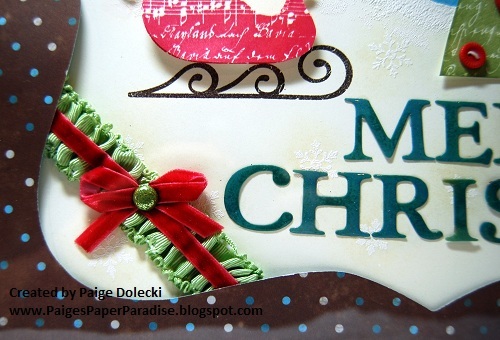 Welcome to the CTMH October Stamp of the Month blog hop featuring the set Holiday Magic! If you have come here from Tamytha's blog, you are on the right path! We have over 50 Close To My Heart Consultants sharing their creations using this month's SOTM and other great CTMH products on their blogs. To hop through the whole list simply click on the link at the end of each post on the hop. 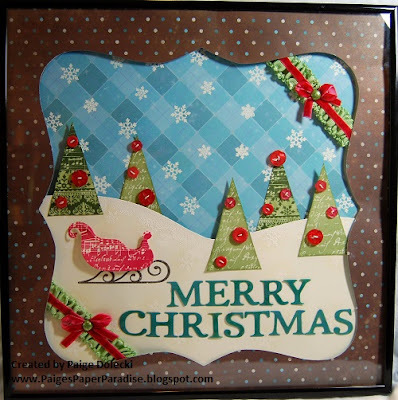 This stamp set is the perfect vintage holiday set for cards, layouts and home decor items. I couldn't wait to start playing with this one to create another scenic holiday home decor piece for my front room. I wanted to get a lot of depth on this piece so there is a whole lot of layering going on - its the most foam tape I've ever used on one project! I'm going to have to get a shadow box 12x12 fame for this one! Trying to show the depth of the layers and those cute Red Assortment Buttons! 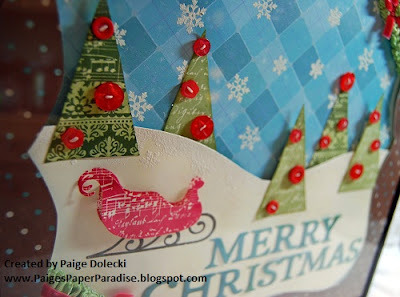 Now "Hop" on over to Dawn's Blog to see her work! Be sure to visit all the Consultants at their Blogs to get some great crafting ideas and other fun ideas! Remember, the October SOTM is only available until the 31st! To order your set and start getting ready for the holidays, click here! Ooh! Very pretty. Makes me think of that one cartoon with the abominable snowman (Rudolph?) from the 1950's. Love it. Absolutely fabulous Paige!! LOVE IT! I love the bright colors! Crisp and bright........ Great job! Very cute and you should frame it! How cute is this card?! Love it - great job! You created a great little scene. Really like the small red buttons decorating the trees. What a wonderful project, and one that you'll be able to use year after year. Stunning! I love the mix of colors you used to create the season and all your attention to detail! Fabulous! love all the layering Paige! another fabulous piece of art from you! This is beautiful! What a wonderful decoration to display. Your 12x12 is SO amazing!! I especially love the gathered ribbon touch. AWESOME! !